I finally downloaded the pictures that have been sitting in my camera since my trip to Colorado. No wonder I can’t remember the last time I went birding. I managed a total of three days of birding in November, and two of those three days, despite my best efforts to get out on sunny days, were cold and foggy. No wonder I was in no rush to download and post the shots. This shot of a Great Blue Heron tucked inside his winter coat is pretty representative of the mornings I spent at Theler Wetlands. 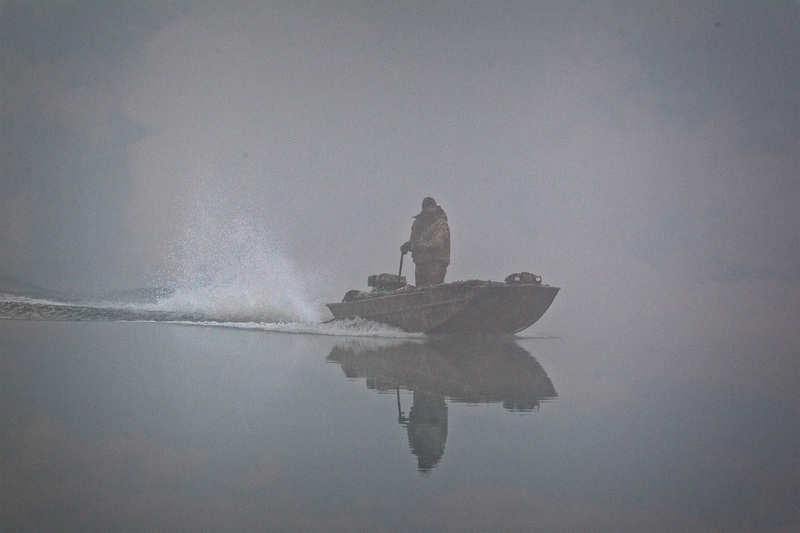 Of course, it doesn’t help that it’s also duck hunting season, and you can’t walk the wetlands without the echoing of shotgun rounds going off in the distance. Great photos, Loren. 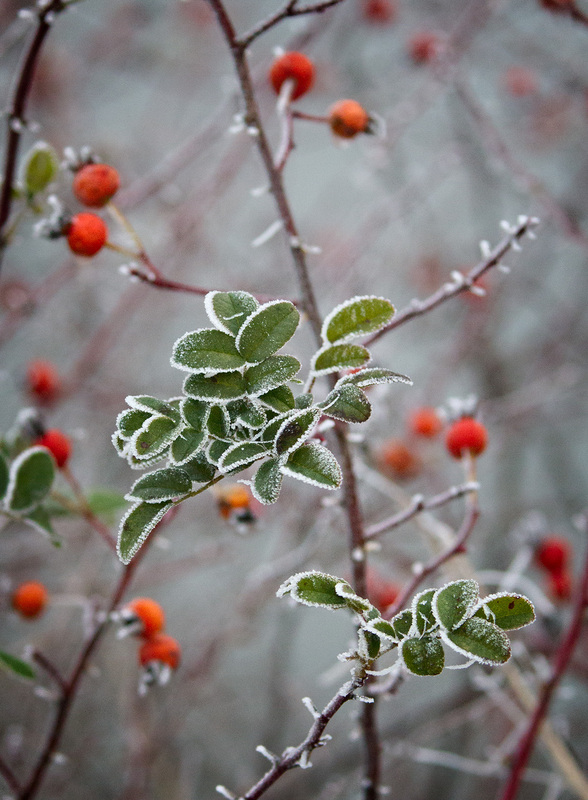 I enjoyed seeing the birds, but I enjoyed seeing the boater and the frosted berries. 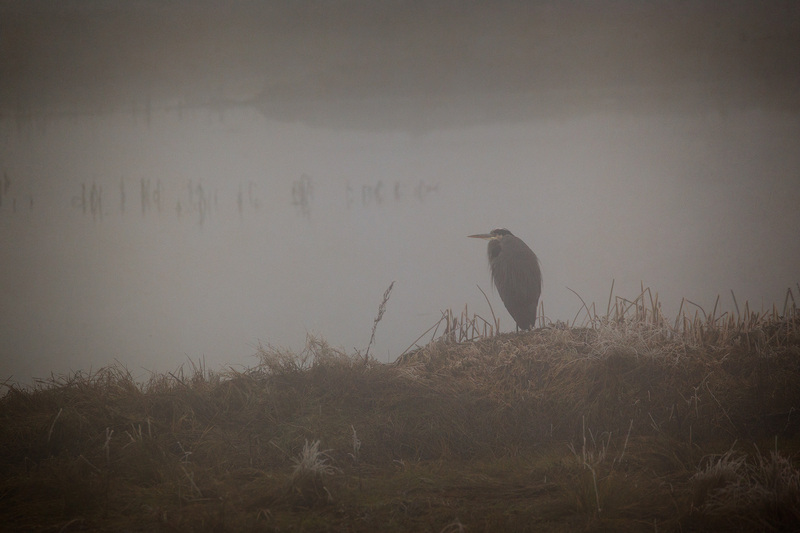 Love seeing the Great Blue Heron in the fog. Such a beautiful photo. Here too the usually quiet of the serene wetlands and marsh is interrupted by the sound of gunshot. 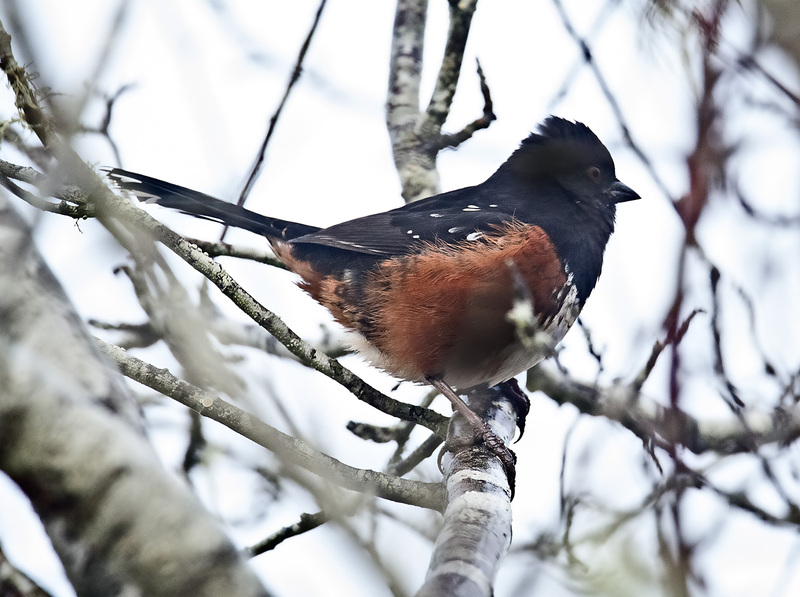 I haven’t seen a Spotted Towhee in a long time, such a sweet little bird. Nice frost too!